A medium sized, wedge-shaped saddle bag with a QR mounting system. 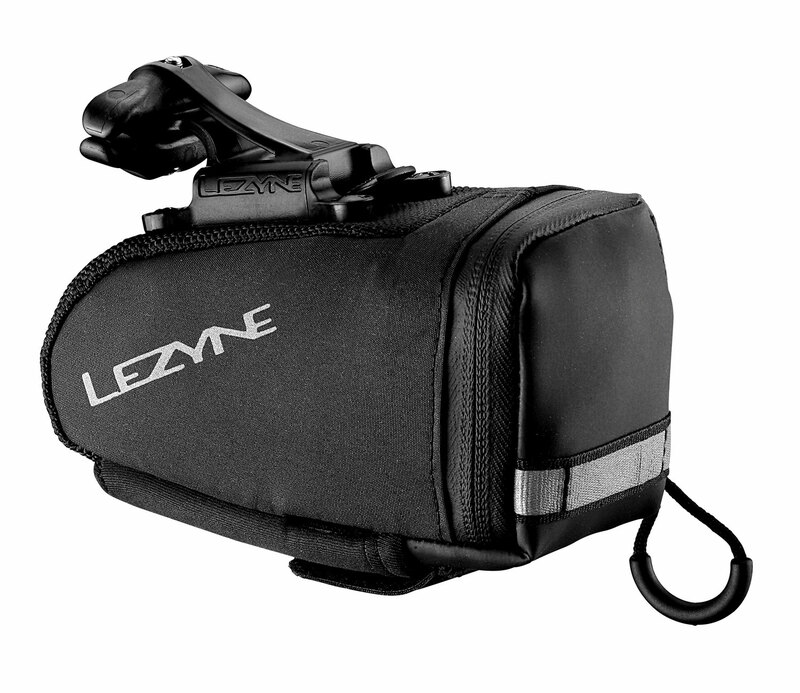 Lezyne have a range of small bags that fit under your saddle, including this M Caddy QR. The M stands for medium, and the QR stands for quick release. It's perfectly sized for carrying all the kit you need for a day out - and you can attach it to your bike (and take it off again) very quickly indeed.